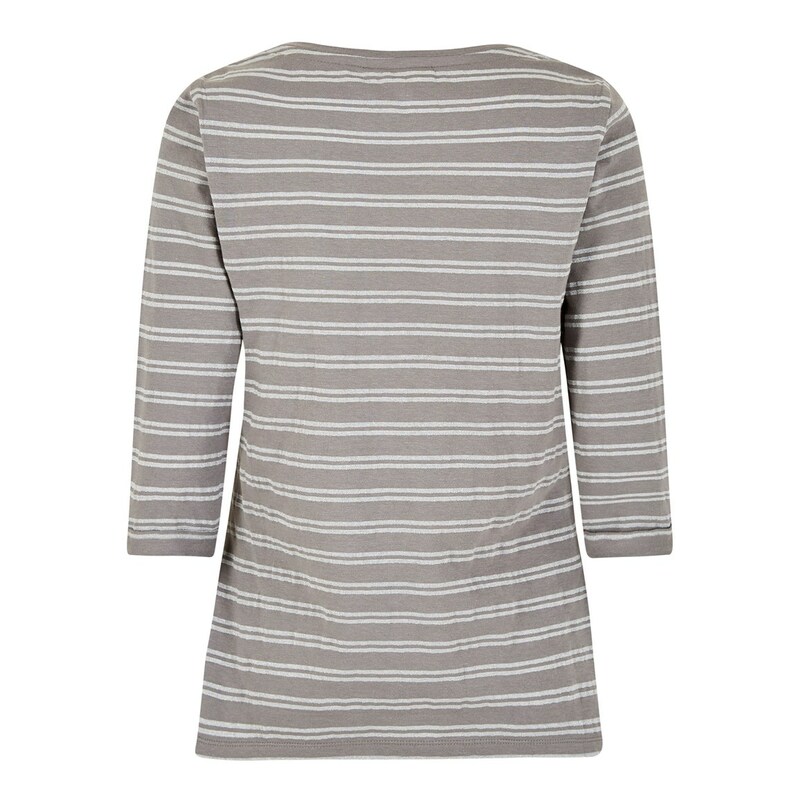 Wear the stylish and versatile Millen striped 3/4 length sleeve t-shirt this season, ideal for changeable days out and about. 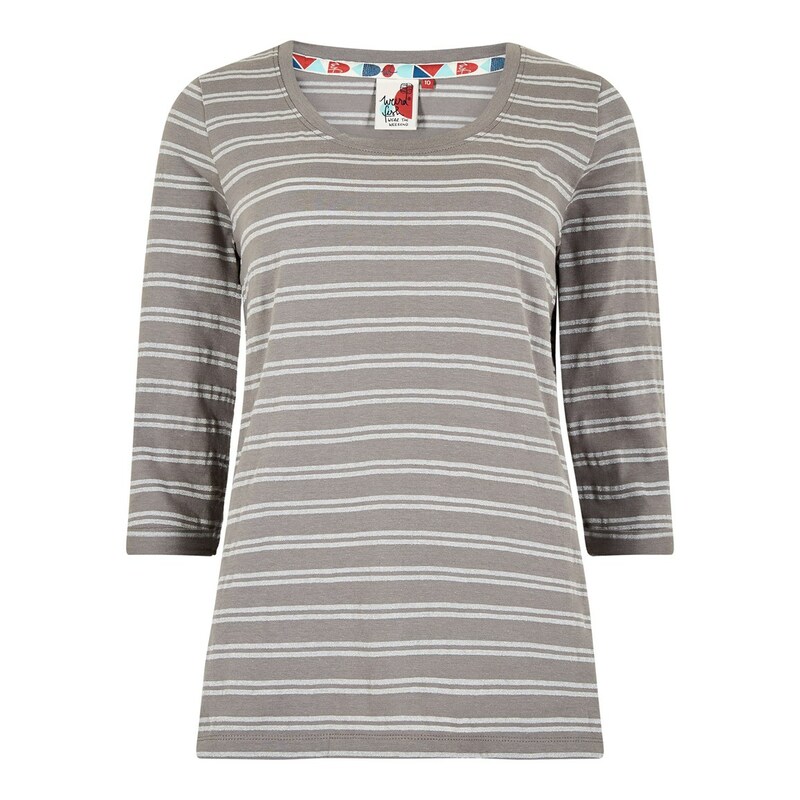 You'll enjoy a comfortable and stylish top that's both practical and hard wearing, as well as being super-soft thanks to the clever fabric composition. 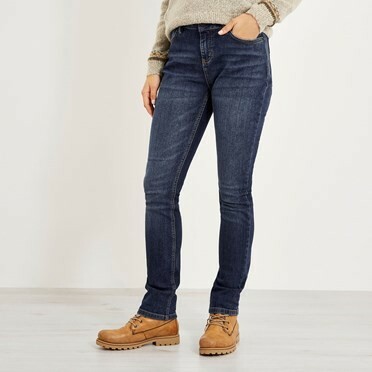 Super easy to wear thanks to its high levels of comfort, just pair the Millen wth your favourite denim for the perfect nautical summer look. Good fit and interesting detail. Good fit. Nice length and not tight across the tummy. Got this in the sale so very good value. 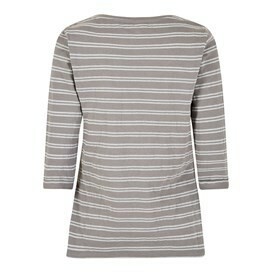 This is a nice casual top. Got it in the sale so a bargain. The colour is more of a link shade rather than grey. 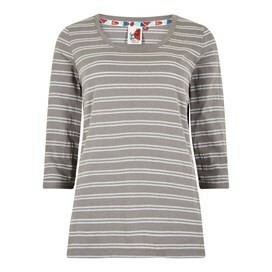 Pretty silver striped the shirt with flattering three quarters sleeves. Good fito.